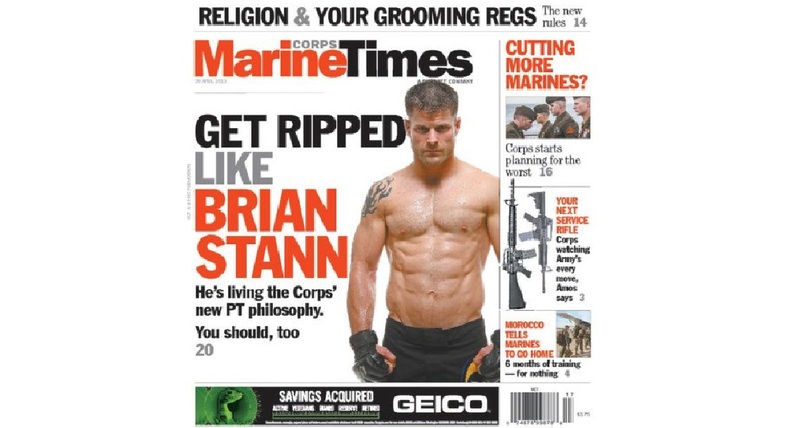 Brian Stann on the cover of Marine Corps Times in 2013, weeks after his final UFC fight. Marine Corps veteran Brian Stann added another line to his impressive resume this month, as the Silver Star recipient, mixed martial arts champion, UFC and college football commentator, Hiring Heroes CEO and real-estate executive rejoined the cage-fighting club via the front office of the Professional Fighters League. Stann will serve as head of the fighters and competition/rules committee for the PFL, playing a key role in the organization’s plans to become a “fighters first” league, according to a news release. A PFL primer for non-MMA addicts: The group will kick off what amounts to a series of yearlong tournaments next month, with single-elimination bouts in multiple weight classes ending in a series of championship fights on Dec. 31. The series will air on NBC Sports Network, which also used to carry World Series of Fighting contests; expect to see some WSOF faces as part of the new promotion, as well as MMA prospects and former UFC and Bellator combatants. Stann fought in the UFC from 2009 to 2013, dropping the final two fights of his 12-6 MMA career to UFC icons Michael Bisping and Wanderlei Silva. Before that, he’d held the World Extreme Cagefighting light heavyweight title prior to the promotion’s absorption by the UFC. Before that … well, Military Times’ Hall of Valor Project can catch you up. PFL’s first night of tournament fights takes place June 7 at the Hulu Theater at Madison Square Garden. Troops and veterans can get discounted tickets to that card and others, including a July 5 fight night in Washington, D.C., by hitting the links in this discount guide.